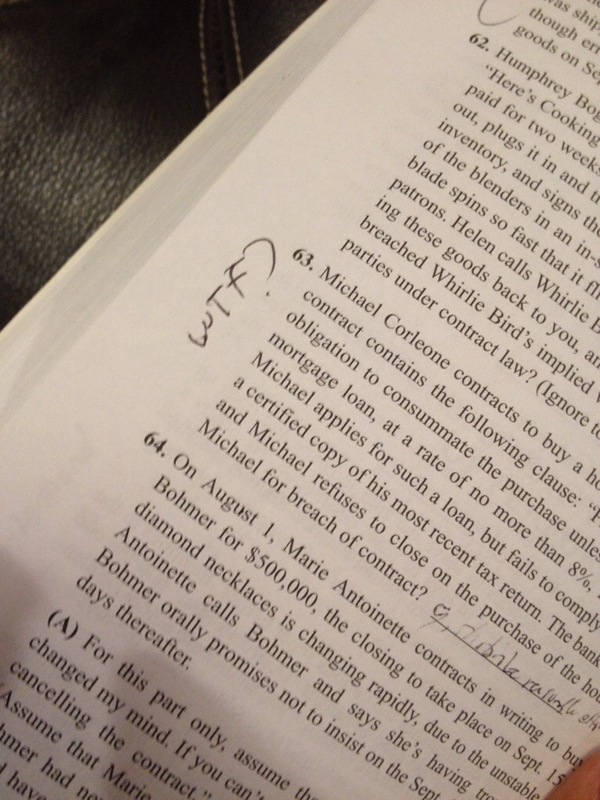 Found a note just to me in my latest (used) law book! But I open my book tonight and lo and behold: look what a former law student wrote on the side of my new-to-me book! We all feel the same, dude. And thank you for the sentiment, I feel the *exact* same way.